End of December, not a cloud in the sky, the temperature is somewhere in the 50s and I was blissfully walking around Madrid looking at the beautiful architecture, people watching (it’s really fun), and smelling the churro stands that are pretty much everywhere you turn your head. 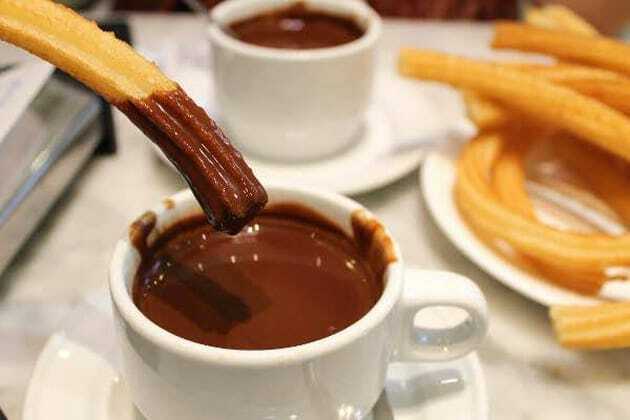 Despite what many people think, churros are native to Spain, and are a fried pastry that is string like, and is usually served with chocolate – either hot chocolate beside it or the churro itself is dipped entirely in it. The most famous place to eat this decadent dessert (or breakfast) is at Chocolateria San Gines, a 24 hour shop that has been around since 1894! For the $4.16, you will get 6 churros and a side of melted dark chocolate for your dipping pleasure. After indulging in some churros for breakfast (don’t judge me), and walked around the city, lunch was the next stop. 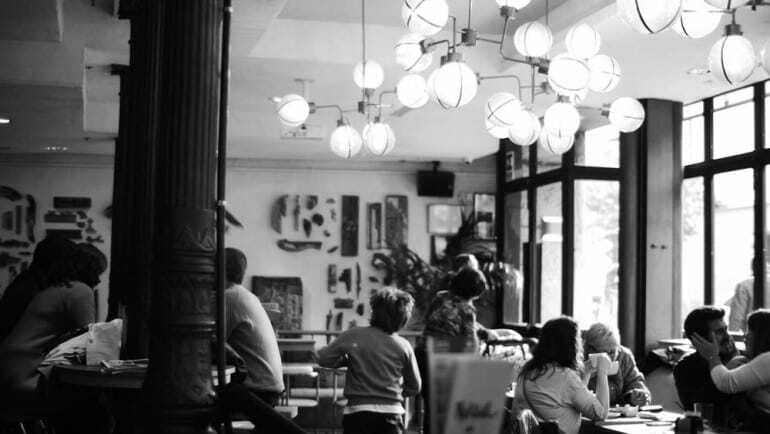 There are restaurants all over the city, and most of them are very good, so when I stumbled across La Mucca, a busy bistro with a menu that had a plethora of options for me, and a cool local vibe, I knew I just had to go in. 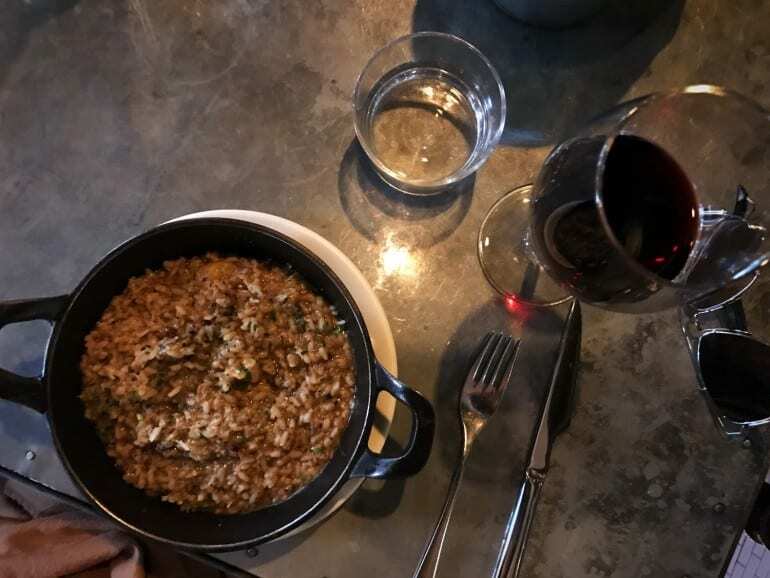 I ended up experiencing my first taste of Spanish Rioja wine with my oxtail risotto lunch, and all I can tell you is that I have found the holy grail. I thought this was the best thing I had ever tasted, but that was only the first half of day one, I still had many more culinary experiences to go through, each seemed better than the last. For the meat lover: Makkila is the place for you. 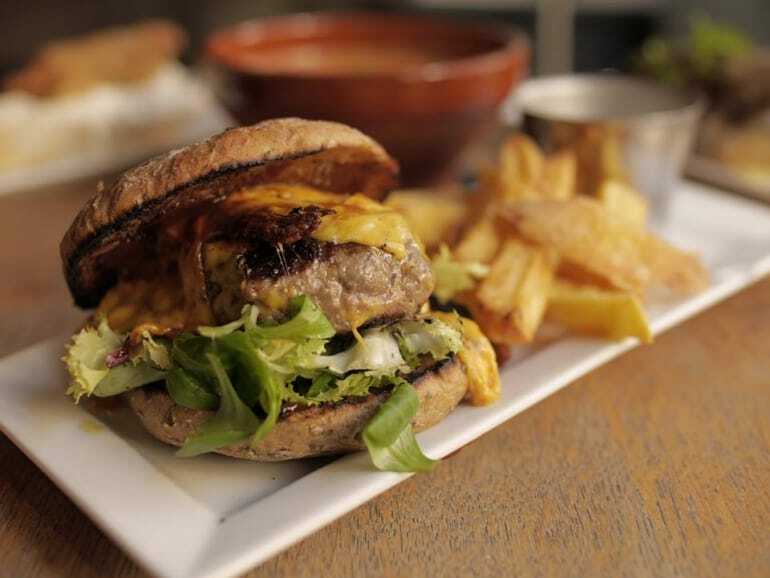 I started off with their scallop croquette and continued with their beef burger with truffle mayo, washed down with some more delicious Rioja wine. 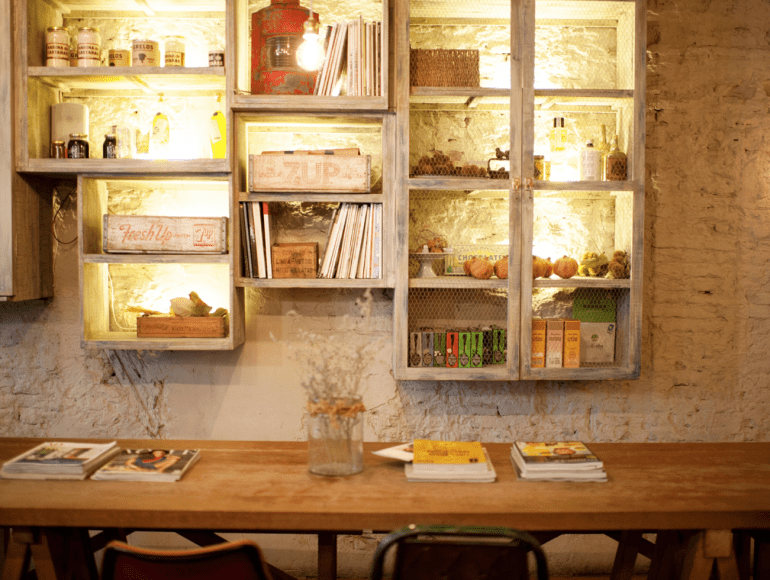 For drinks: Ojala is the coolest joint in Madrid for a drink. 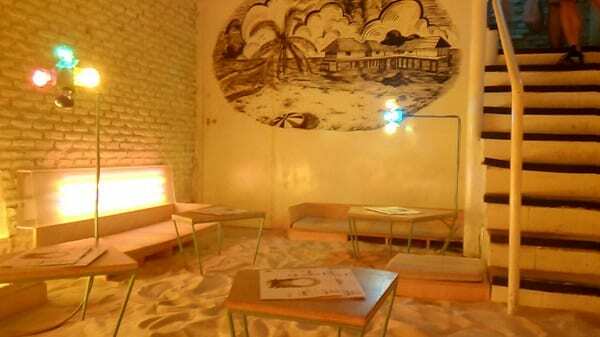 The downstairs of the bar is designed like a beach bar, sand and all! 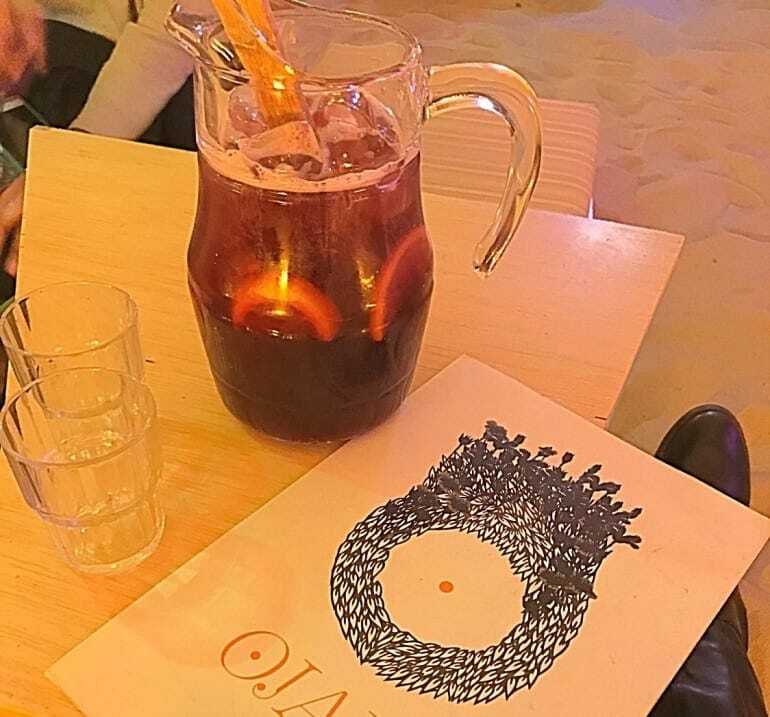 Their cold red wine sangria is refreshing and delicious, putting you in a tropical mood whilst in the middle of an urban center. 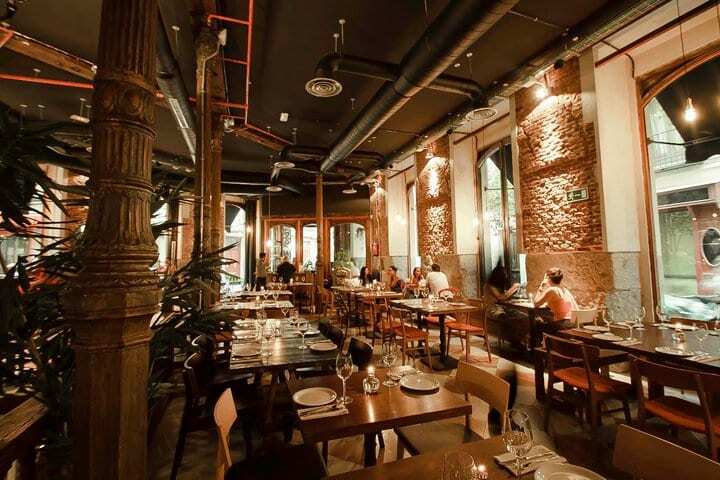 For those who brunch: Maricastana! I have a small confession to make, I have an obsession with truffles, and Madrid shares my passion for the precious mushroom. Brunch was made perfect at Maricastana, with the chic and beachy interior design, and delicious coffee and the out of this world egg dish I ordered. 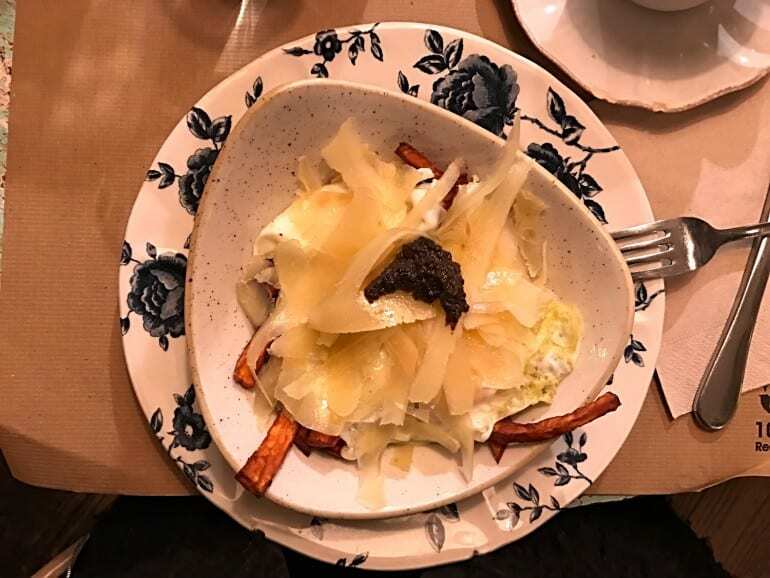 What I got is called Huevos Rotos, which was basically sweet potato fries topped with two fried eggs, parmesan shavings, and a VERY generous dollop of truffle paste. I mixed everything together and ended up going into gastronomic heaven with every bite. 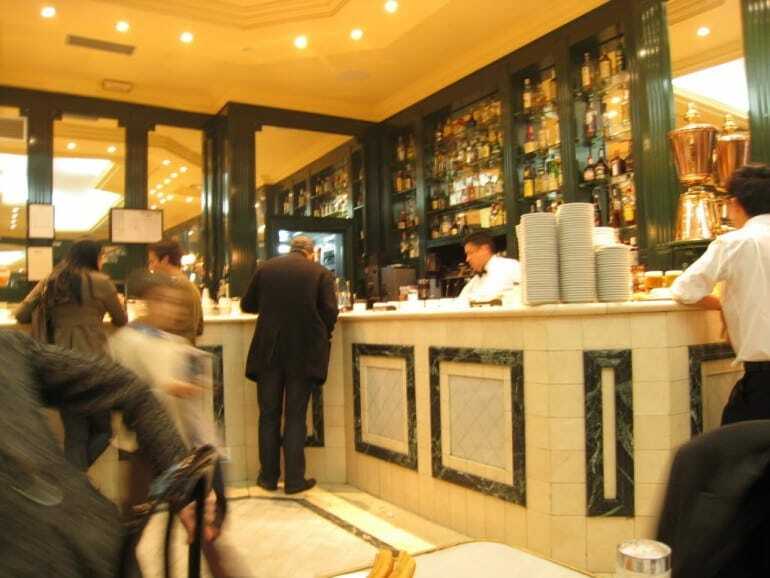 Last but not least, the one place I went to more than three times to make sure I got everything it had to offer – Marcado de San Miguel. This indoor market has booths within, carrying a wide range of meats, sea food, baked goods, and drinks. 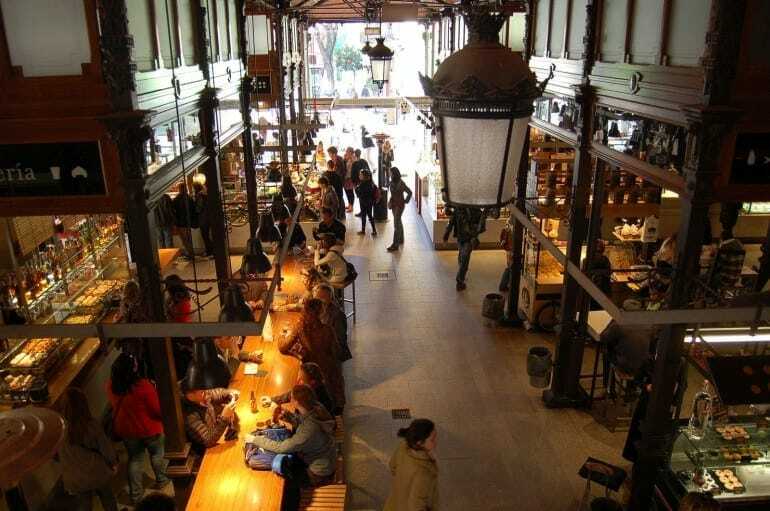 There are shops within that offer a variety of Spanish products, as well as other international brands – all food related of course. I went there for the paella! I couldn’t leave Spain without having the national dish. The paella stand inside the market offers every form of the dish – vegetarian, meat, and sea food; I went back three times to try each one. WORTH IT.